Toys “R” Us has donated to Salvation Army in Red Deer approximately 3,900 toys. Toys”R”Us Canada donated more than 700,000 toys to The Salvation Army and Bay Street Fore a Cause toy drives across the country, spreading Christmas cheer for less fortunate children in Canada. It’s the season for giving and Toys“R”Us Canada has taken this notion to new heights with a donation of more than 600,000 toys to several of The Salvation Army’s annual toy drives across Canada. Each year, The Salvation Army’s toy drives provide children in need with a toy for Christmas. In addition, more than 100,000 toys were donated to Bay Street Fore a Cause, in support of various children’s-based charities. Known for bringing joy to children through the magic of play, Toys“R”Us Canada’s donation spreads joy and Christmas cheer far and wide across the country to the children who need it most. 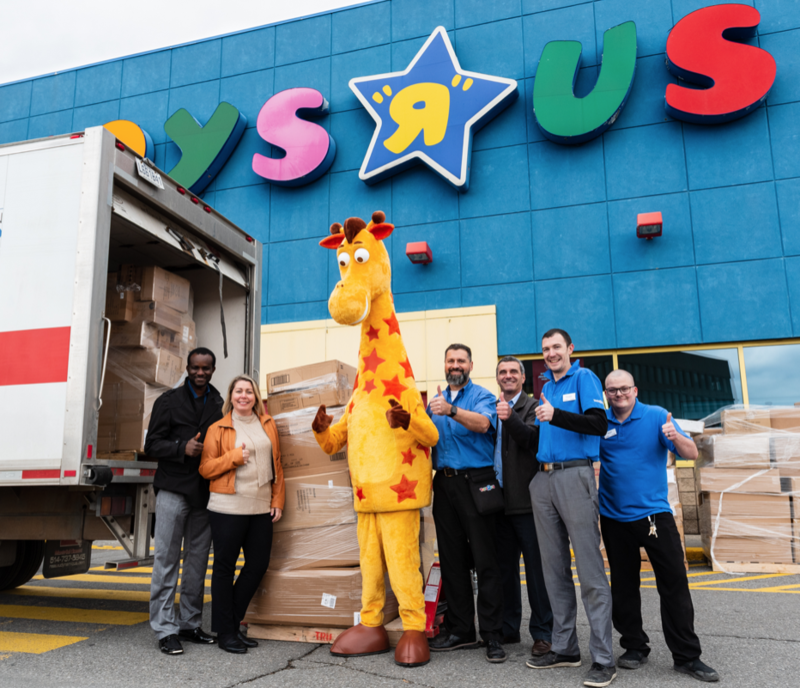 The Toys“R”Us Canada donation consists of more than 600,000 unwrapped toys that were distributed to Salvation Army community centres across all Canadian provinces – Alberta, British Columbia, Manitoba, New Brunswick, Newfoundland, Nova Scotia, Ontario, Prince Edward Island, Quebec and Saskatchewan.